Alex Gregory is a two-time Olympic rower from England. 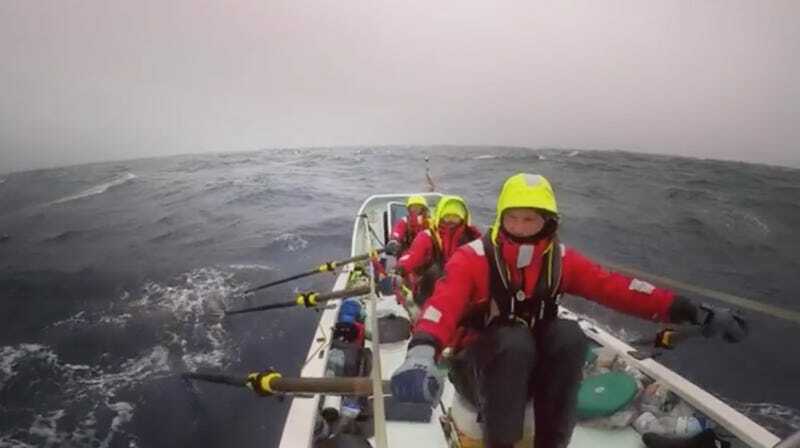 During racing season, he competes at the World Championships and at the Olympics, but he’s recently been rowing in the Arctic Ocean in an attempt to break a series of world records and raise money for charity. Gregory and friends broke 11 of the 12 records they set out to, and got pretty frozen in the process, at one point getting stranded on a tiny island between Norway and Greenland for nine days. Which brings us to Gregory’s hands, which look like raisins that have taken on radioactive superpowers. Don’t worry, they’re healthier now.